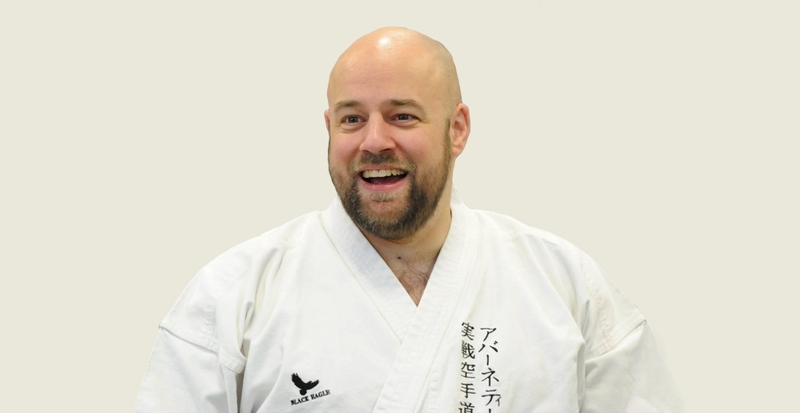 In this second article, we’ll be looking at the basic application (bunkai) for the knife-hand block or “shuto-uke”. 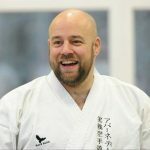 As we established in The Basics of Bunkai – Part 1, due to a series of historical events, the modern terms used to label kata movements are not descriptions of the movement’s combative function. We also established the majority of live situations take place at close-range. At close-range, we do not have the time or space to react to an opponent’s actions and therefore blocking is of little use. The kata were created to record and rehearse the techniques and concepts of close-range civilian altercations. We can therefore see that despite the modern labels, the kata are unlikely to contain any blocks. To be clear, the kata do contain some defensive techniques, but nothing that could be accurately described as a block. So what is the function of the movement now labelled as “knife-hand block” if it’s not a block? When we examined the use of “rising block” in part one, we saw how the hand on the hip played an important function and is held there for a good reason. We also established that all parts of the movement have importance and function. When modern karateka look at the “knife-hand block”, they often fail to consider why the “blocking hand” is first pulled past the ear, why the other hand is moved forwards, and why it should come to rest across the chest. If the movement was meant to be a block, none of those actions are relevant. 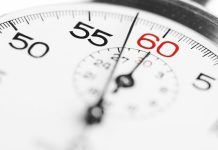 So why do we perform the movement in the way we do? As we’ll see, the movement is not a block and all parts play a part in disabling an opponent. One of the reasons the knife-hand block appears so frequently in kata is that this important movement can be applied in many ways (we’ll cover the idea of multiple function in later articles). In this article we will look at two ways the knife-hand block can be used when the opponent’s arms come into contact with yours. At close range, the lack of distance and the amount of “traffic” means that arms bouncing off one another is not at all uncommon. In my experience, this clash of arms is particularly likely when you are covering up and shifting forwards in an attempt to get inside punching range and tie up the opponent’s limbs. Sometimes no contact will be made and you can go straight for a clinch. Other times, the arms will clash with the opponent’s and at this point the “knife-hand block” can be used. The arms will essentially clash in two ways: an “outside clash” (where your hand is to the outside of the opponent’s), or an “inside clash” (where your clashing hand is to the inside). The arms have clashed and this provides the stimulus to execute the technique (Figure 1). Upon feeling the clash, slap down the opponent’s elbow as you move your other arm back (Figure 2). It is important to slap the elbow as opposed to the wrist otherwise complete control of the arm is not gained and the opponent may still be able to elbow you. Pushing on the elbow will give you momentary control of the arm, prevent the opponent from effectively turning their body into a backhand punch and open them up for the following strike. Shift your weight forward whilst keeping your hand on the opponent’s elbow. Because the opponent’s arm is out of the way, you could have relatively little trouble delivering a forearm strike into the base of the opponent’s skull (Figure 3). If your arms have clashed the other way, you can also make use of “knife-hand block” to control the opponent’s limbs and set them up for a strike (Figure 4). Slap the opponent’s arm back and to the side as you extend your other arm over the top (Figure 5). This will take the opponent’s arm out of the fight for a split second in addition to creating an advantage that the second part of the motion exploits. You then wrap the opponent’s arm and slam your forearm into the side of the opponent’s neck (Figure 6). On completion of the movement, you can release and flee, follow up with a suitable strike (Figure 7), or grab the opponent’s neck in order to gain control and limit the opponent’s ability to strike (Figure 8). In this article we’ve looked at some basic uses of the knife-hand block. 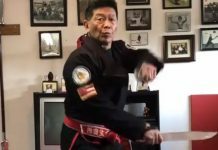 In part three we’ll look at one of the most misunderstood karate techniques; the lower x-block (gedan juji uke). As a blocking technique, the x-block has innumerable flaws. However, as we’ll start to explain in part three, the movement can be used as a control and strike, a choke, a shoulder lock and a wrist lock. 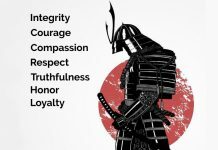 I hope this article has got you reappraising “knife-hand block” and has helped introduce you to some more basic elements of bunkai training.